The meeting was called to order by Alice Whitaker. Introductions were made, including position in the Guild. The minutes of the previous meeting were approved as written. The Treasurer’s report was distributed. It indicates a profit of $4,195 in 2018. Proposed changes will discussed under new business. Membership: Marion Newell reported there were 126 members in 2018. At this time, 75 members have paid their 2019 dues. Hospitality: Laura Anderson has sent an email to previous committee members to determine those that want to stay on the committee. She will be looking at the cost of food items and reimbursement issues. She proposed dual mikes for the meetings for ease of reaching people who need to speak. We need to make an effort to meet new people and quiet people. Charity: Diane Dimpfl reported that they delivered quilts to 140 patients on Christmas. That leaves about 90 left. In the future all completed quilts need to be taken to Community even those shown at the meetings. All fabrics need to be in plastic bins by Community Hospital guidelines. No cardboard boxes are allowed. This is already done. A quilt raffle with proceeds earmarked for the charity quilt project was proposed as it is unknown how much financial support from the hospital guild will be given this year. It was decided by-in from the membership was needed. It was also proposed and approved after discussion to purchase insurance at $178/year to cover the charity quilt and supplies. Laura Anderson discussed the deliveries to Damar which are appreciated. The representative from Damar wants to speak to the guild and this may be arranged in the future. Tag Sale: The quest for a new name is on-going. The Board proposed posting on the website for the membership to vote. Sunshine: The committee still does not receive names of people who need cards. They are going to place a basket at the meetings for members to place names. BOM: The committee has the first two months ready. They will be meeting this month. Facebook: Amy Klodzen will try posts to increase activity. Website: Diane Lockman was asked if there could be a link to former speakers. She indicated this can be done. Newsletter: A deadline is needed for the letter. It is needed by Wednesday and it was proposed that the deadline be set for the 21st of each month. Bus Trip/Retreat: No report at this time. Programs: April Sterling and Chris Behme distributed the Program Schedule and Budget Estimate for 2019. All the months are completed except August and November. They also proposed that notification to drop out needs to be given no later than 2 weeks before a workshop or a substitute found in order to have a refund. Guidelines will need to be developed. -Budget changes: Advertising increased to $100 as the flyer will be updated and distributed to the quilt stores. Hospitality increased by $50 for food costs. Insurance increased to cover the new policy. Website decreased to reflect actual historical costs. 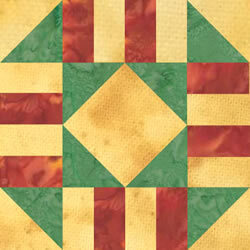 Quilt Show budgeted for $75. Retreat budgeted for $250. Programs increased to $3,500 which will include speaker fees, workshops and speaker travel expenses. Tamara will compile the 2019 budget for consideration. – The Meet and Greet dates have been set for the year. The first will be at Diane Lockman’s on February 15. It may be necessary to limit current membership attendance depending on the hostess. – Hospitality and Membership to greet guests at sign- in, show guests around. Select a few members to carry the mikes for introductions. – The Fishers Library has asked the Guild to consider beginning quilting classes to be offered to the public. This discussion will be tabled for a future meeting.